I’m back home in Nigeria and I have been eating so much food! This is evidenced by the instagram page. One of the great things about travelling in Nigeria is the availability of road side food. 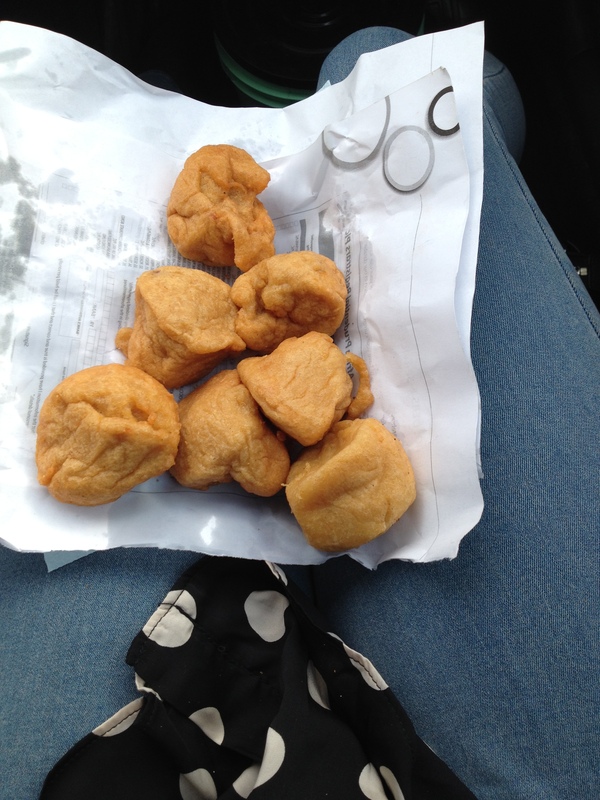 I went to secondary school in Offa, Kwara State and one of our favourite things to buy was ‘Akara elepo’ (my mum’s favourite kind) which translates to ‘bean cake made with palm oil’. Unfortunately, the lady who we usually bought from had to stop using palm oil probably due to village rumours about using palm oil to fry the akara. 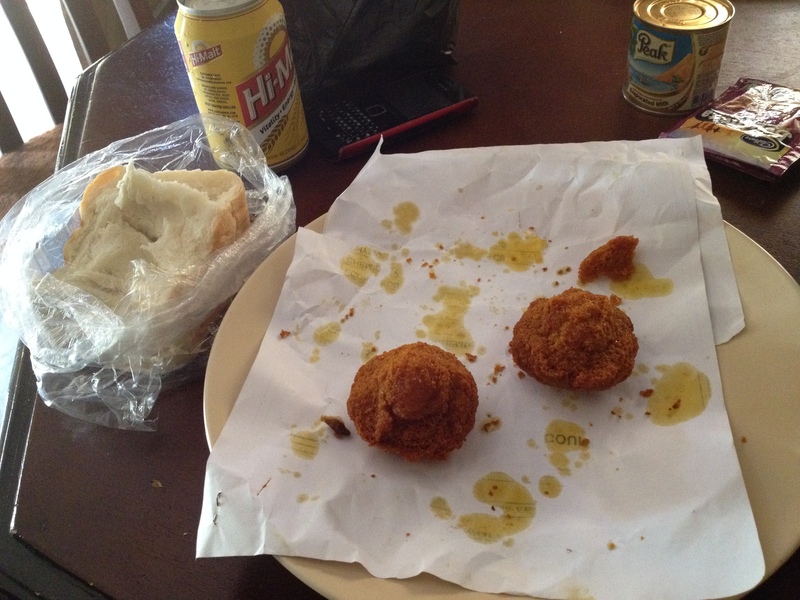 Nonetheless, we bought the akara that was fried with vegetable oil. That was maybe about six years ago. This time around, we were travelling from Ogun State to Kogi State by road and it took about 6 hours to and 5 hours from. It’s a very long journey but the beautiful clouds make it worthwhile. On our way back, the idea to document all the roadside foods popped into my head. 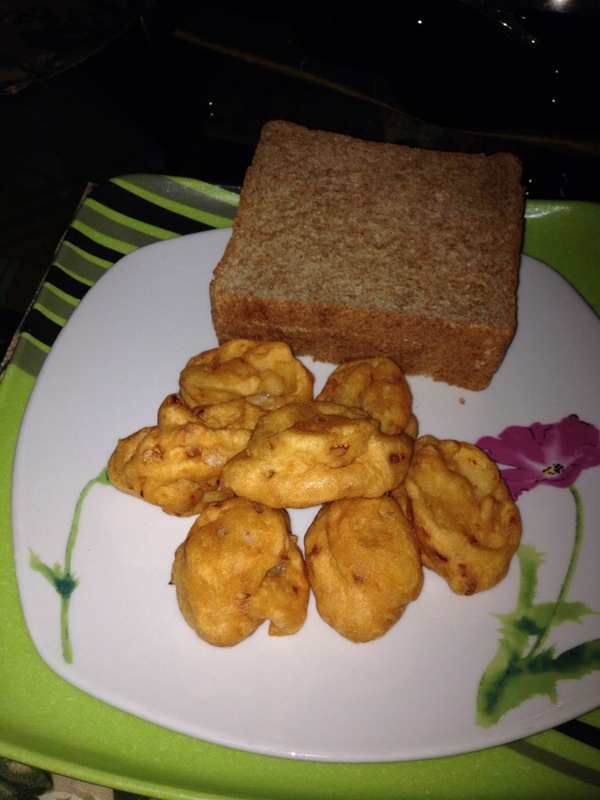 Akara is the ultimate favourite to buy. This time though, we bought akara, corn and asala. I have to note that the corn had no salt. 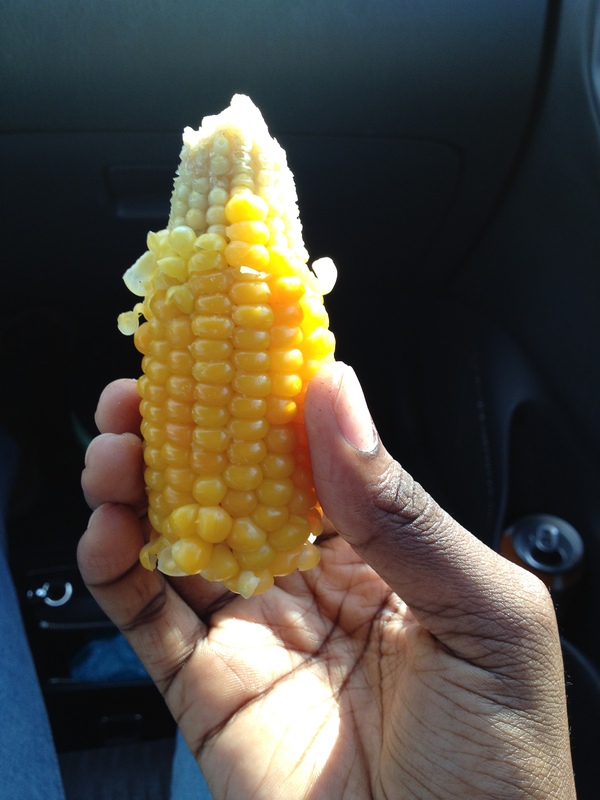 That’s what I’m used to, corn with very little or no salt; until I went outside Nigeria and noticed that people ate it with margarine. Buying roadside akara is not complete without buying ‘Agege bread’. Agege bread is white bread that is locally made and is full of the unhealthy things that one shouldn’t eat! I ate akara with agege bread in Iyamoye (the village we went to in Kogi) but I managed to restrain myself during the journey. The bread is really good! Akara. No, I didn’t have all of it. 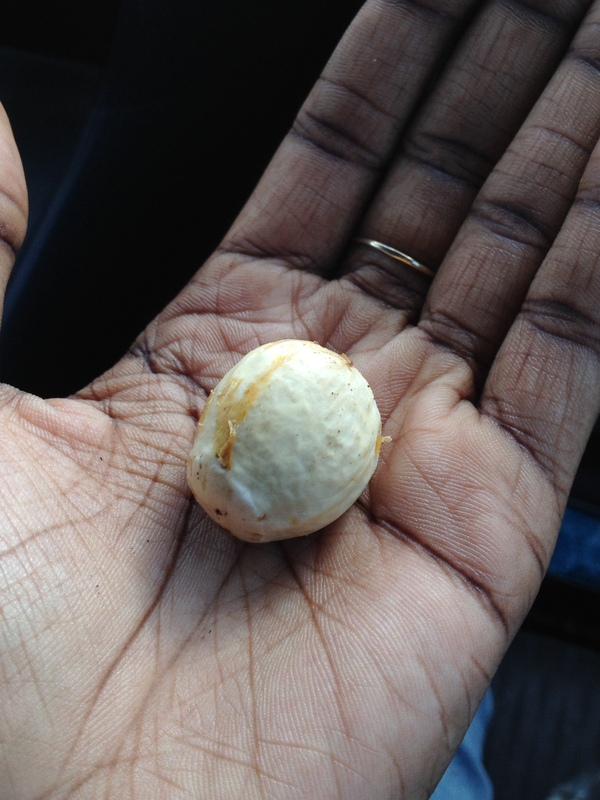 Asala which is also called ‘walnut’ by some people. 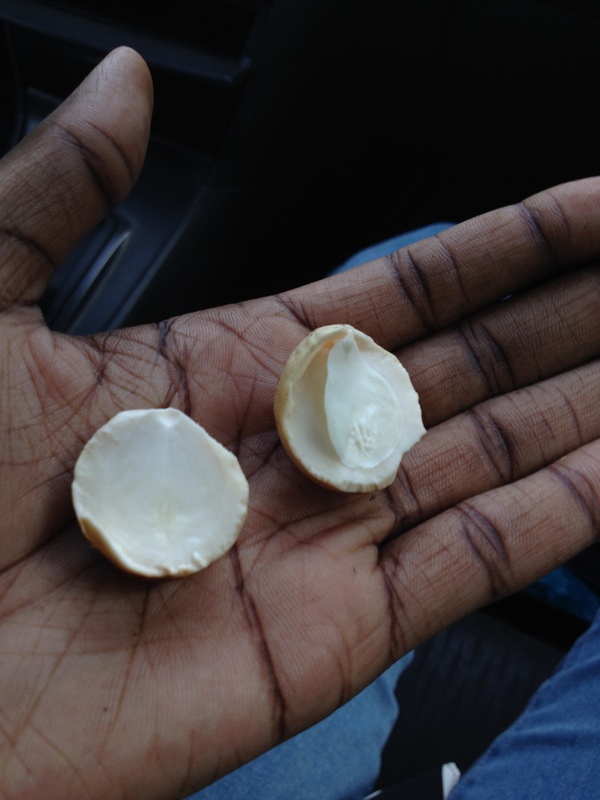 Some people remove the white thing in the middle but it can be eaten. 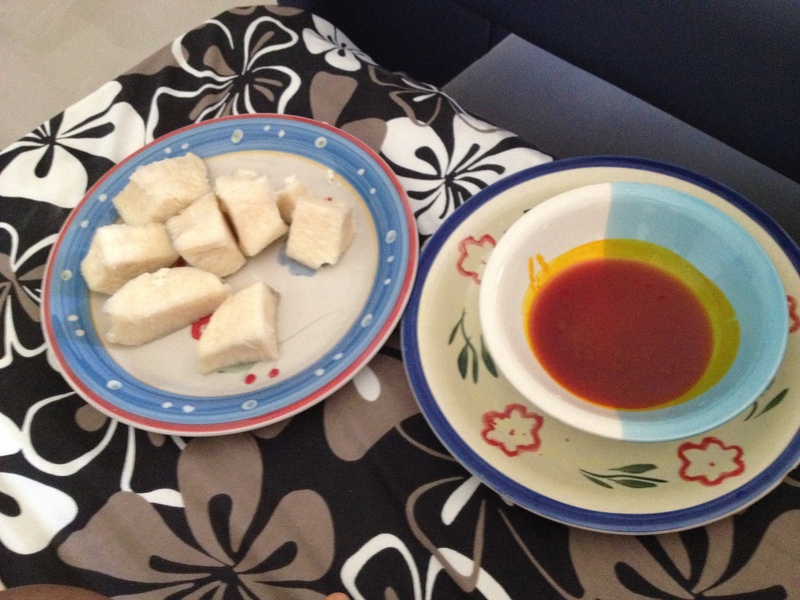 Boiled yam with palm oil. Salt has to be added to the palm oil. This is a very delicious and simple meal! Very messy plate. 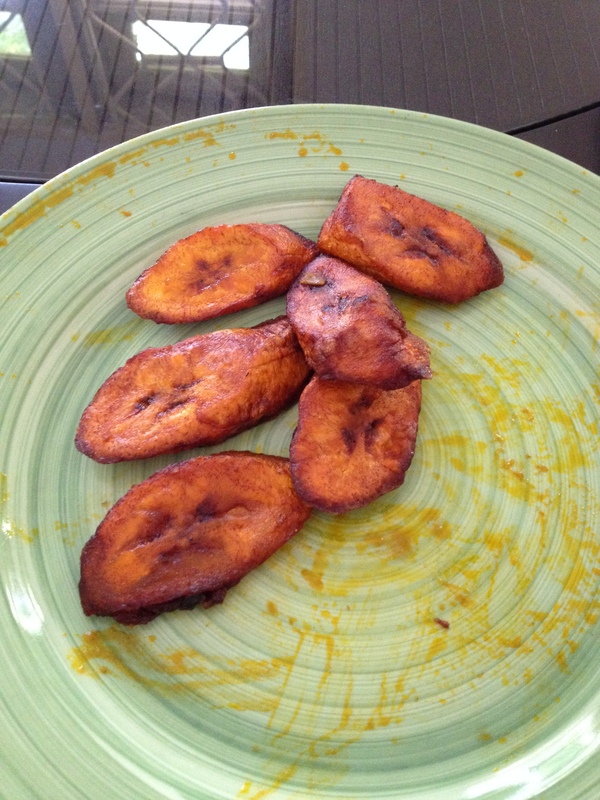 X_X This is plantain fried with palm oil. Moving on, these are just other meals I have had. 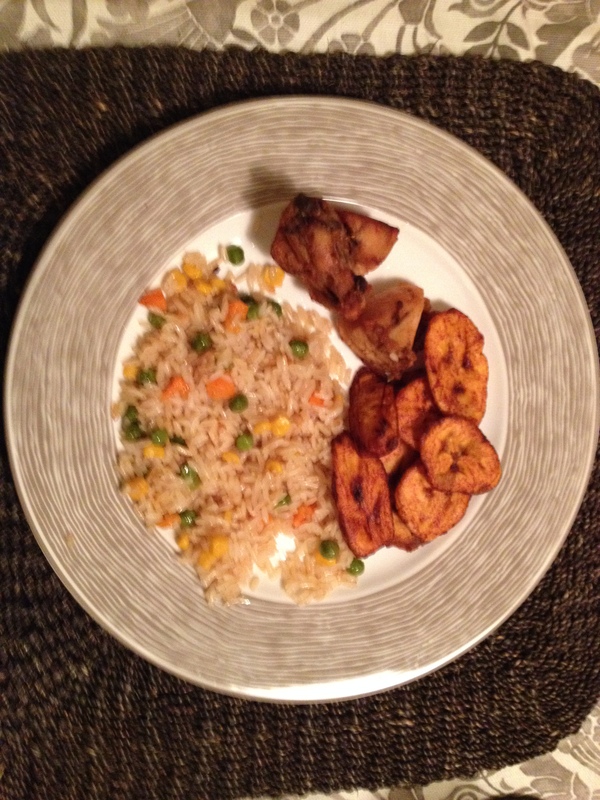 After… Fried rice, smoked chicken (if I remember correctly) and fried plantain. 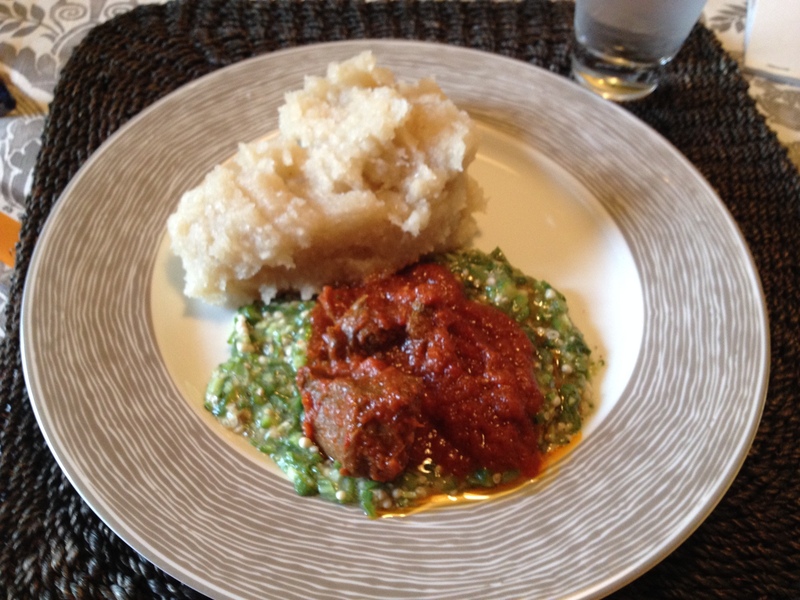 Eba (the white mass which is made from cassava), okro soup and tomato stew. Meal was served with beef. 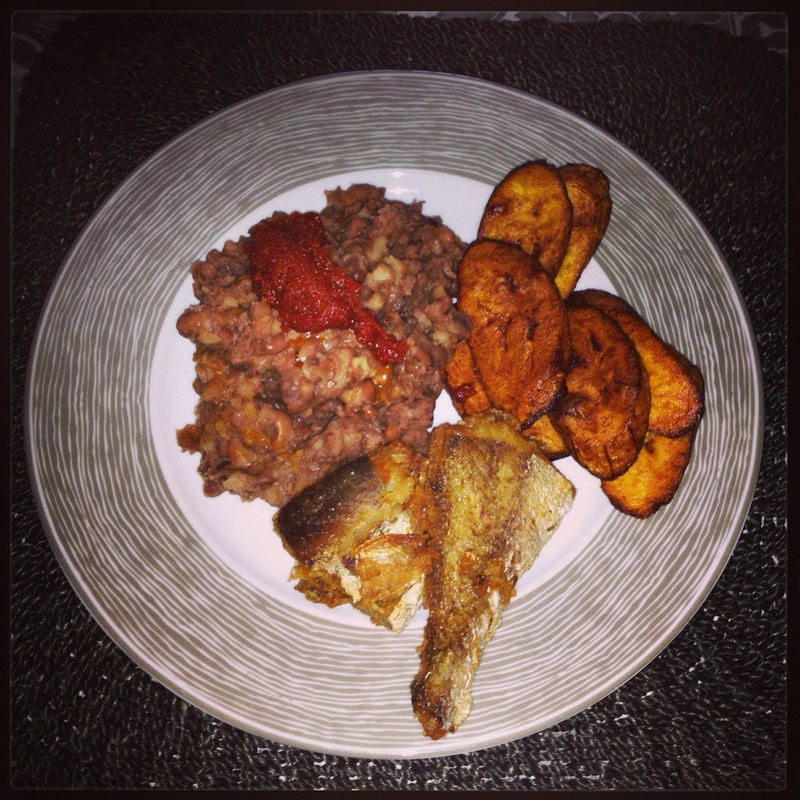 Boiled beans, tomato stew with palm oil, fried plantain and fried fish. 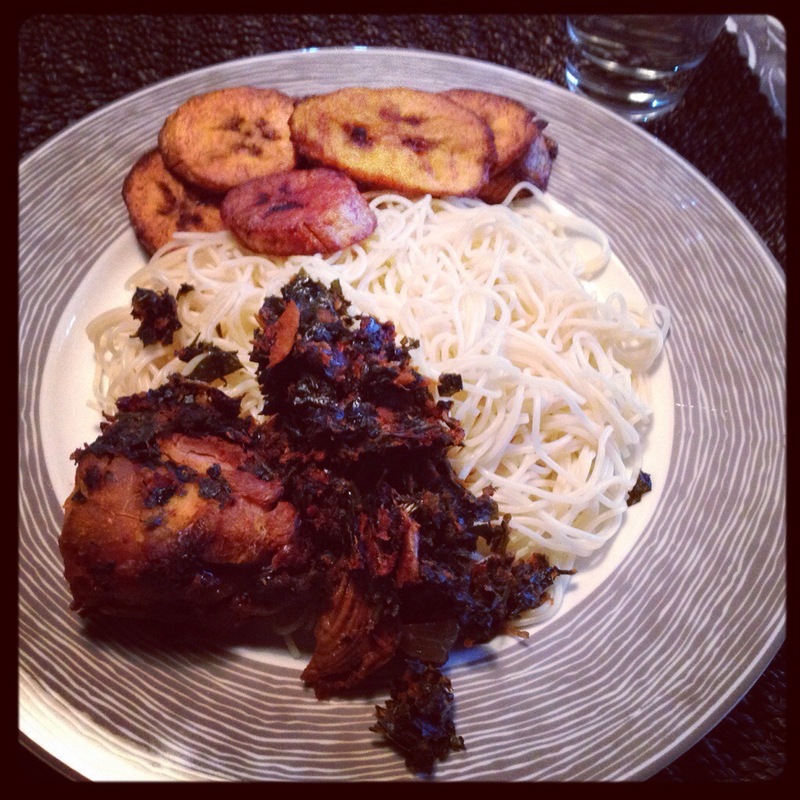 Spaghetti, smoked chicken (if I remember correctly), efo riro (usually made with boiled spinach) and plantain. 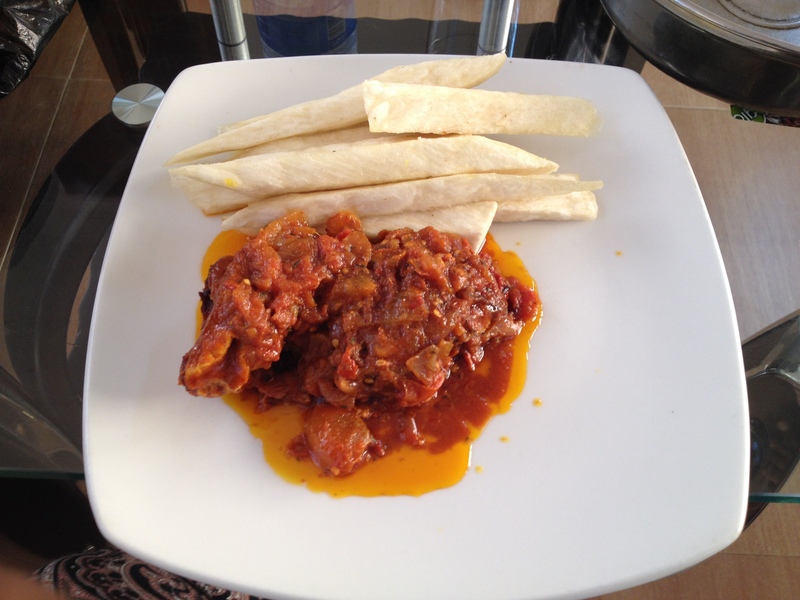 Fried yam with a fried fish, tomato and onion sauce. Had this at Ikoyo Club in Lagos. Their food is cheap! And it was good too. Finally, something healthy. 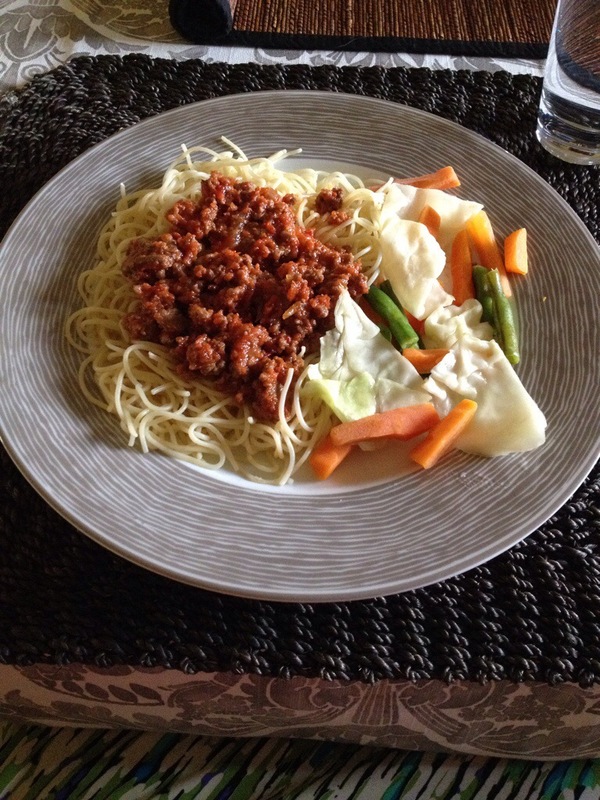 😀 Spaghetti with a minced beef sauce served with a salad. Hope you enjoyed feasting with your eyes as much as I enjoyed eating these foods! 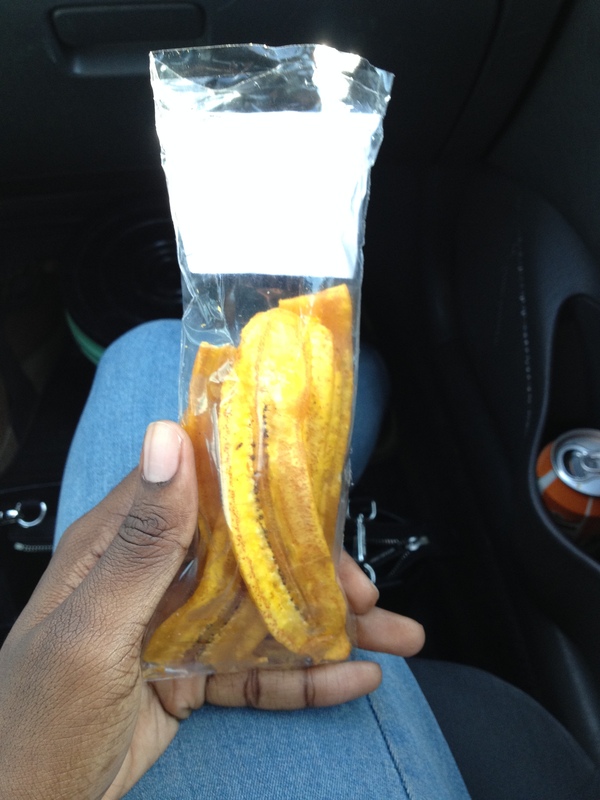 By the way, here are some plantain posts for you Michelle. Ride on Dija, enjoy to d fulkest real food instead you have sorley missed instead of all those funny but beautiful to d eyes u have been managing. Am sure you cant compare. Never mind all d oil and kalories u are adding on. 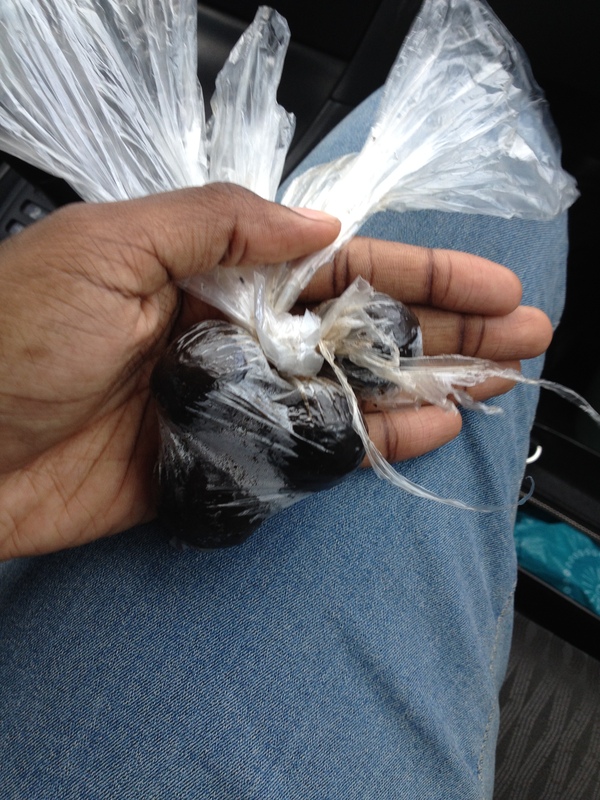 It will even out at d gymn or when u go back to ur veggies. U however fall my hand by not making those local delicasies look as inviting nd mouthwatering like those oyibo food. Pls add value to our dishes by arranging nd displaying them in a very exortic manner. Welcome home nd enjoy yourself. I’ve been enjoying the food. 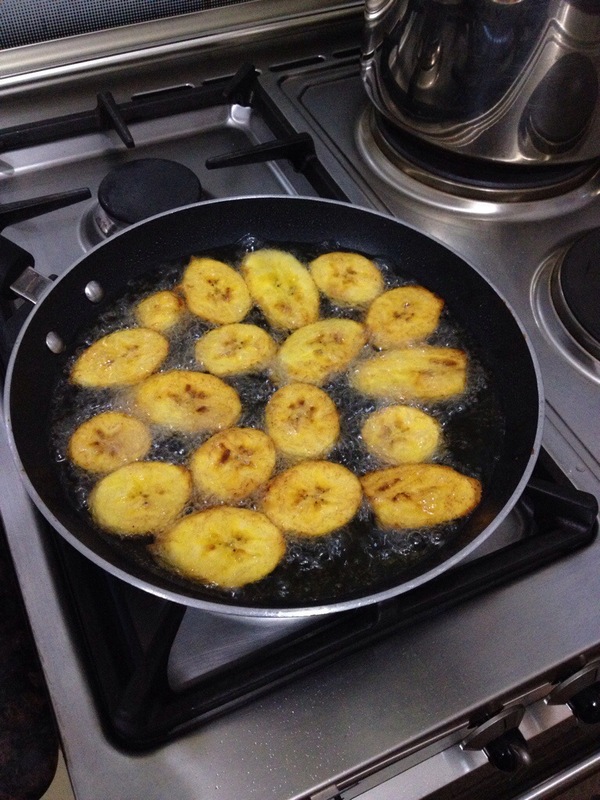 Especially plantain! Will try to make the food more appealing next time. Plus Now it makes sense why my boyfriend always complains if he can’t c oil in any food I make!all your foods are so oily! It’s a surprise many Nigerians don’t die young from heart diseases! It’s worrying! I’m happy you’re happy! I have never eaten suji; I don’t even think it’s Nigerian. As for the oil, yes! Some of us eat too much but you should keep on cooking without too much, he’ll get used to it. Or he should. Yes, eba is good. Are you Nigerian? Aunty Tonia has a point there. You surely ate more than this, Chubby ‘Dija! Per the oil, don’t worry, we are too near the equator for the sun not to be melting off the bad stuff on the plate and from our bodies after we’ve ingested. If the sun burnt off all the oil I’d be skinny! I would love to work on the presentation of the foods with you.